Pal's Power Washing is the company to call if your deck is dirty and has been peeling or chipping away. 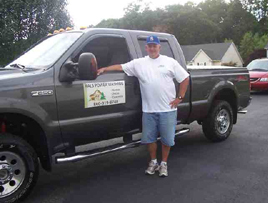 Kevin Palladino, the owner, is a certified deck contractor. Our deck services include power washing, restoration, and waterproofing. 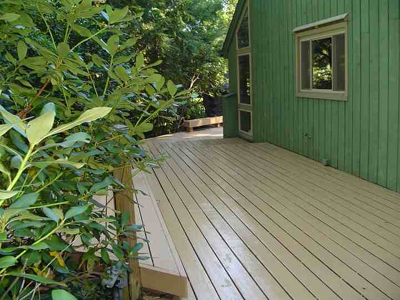 In a short time your wooden deck will be turned back into its original bright, clean, natural look. Our services will also protect your deck from exposure to dew and severe weather. Other deck destroyers are mildew and algae, rot and decay, surface graying, ultraviolet (UV) rays from the sun, and insects. Power washing and a coat of water repellent is a must every two years even after a deck is restored. 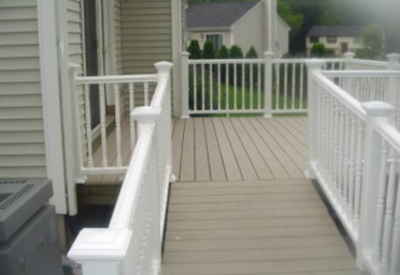 If your deck in Wolcott has deteriorated, call us soon so it can look as nice and be as safe as the ones in the photos on this page.